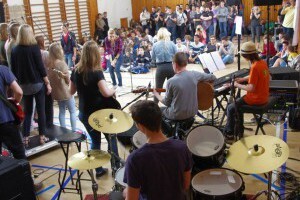 TCKompas | Blog | Here we go, concert! 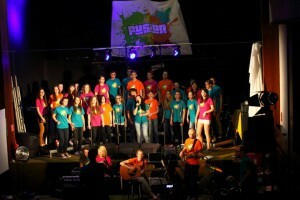 Fusion is not only about concerts but they are its very important element! 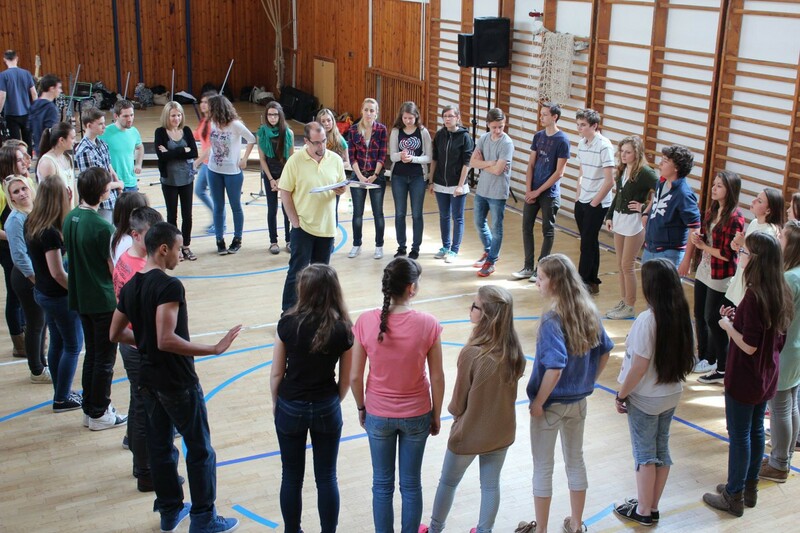 We meet regularly, rehearse, build relationships, learn to cooperate and organize events and when the day of a concert comes, we find out how we managed all those things. 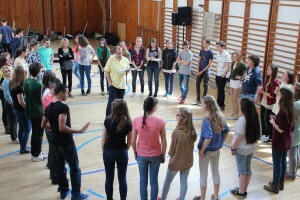 In the beginning of May we had two opportunities to try it out. 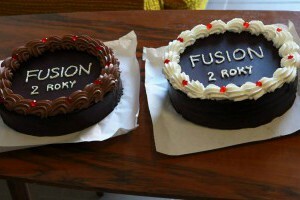 While Europe was celebrating the end of the second world war, we celebrated the second birthday of Fusion Bratislava. 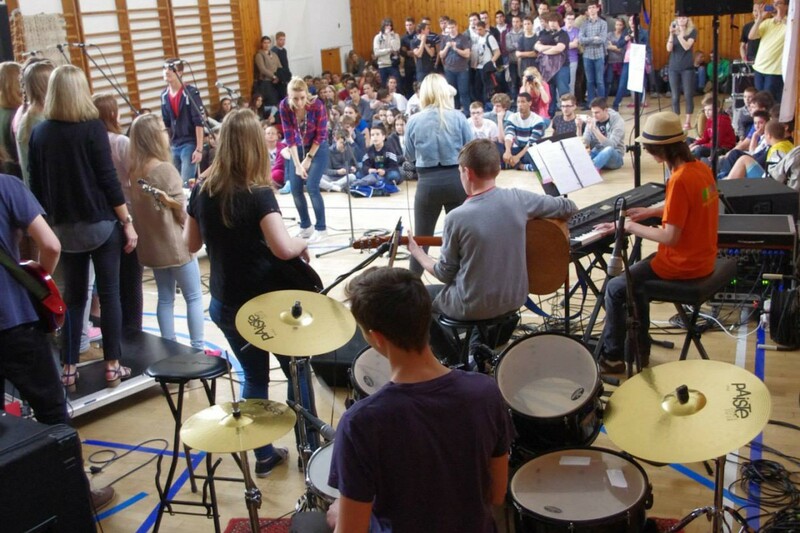 And the day before we performed together with Fusion Senec in school! 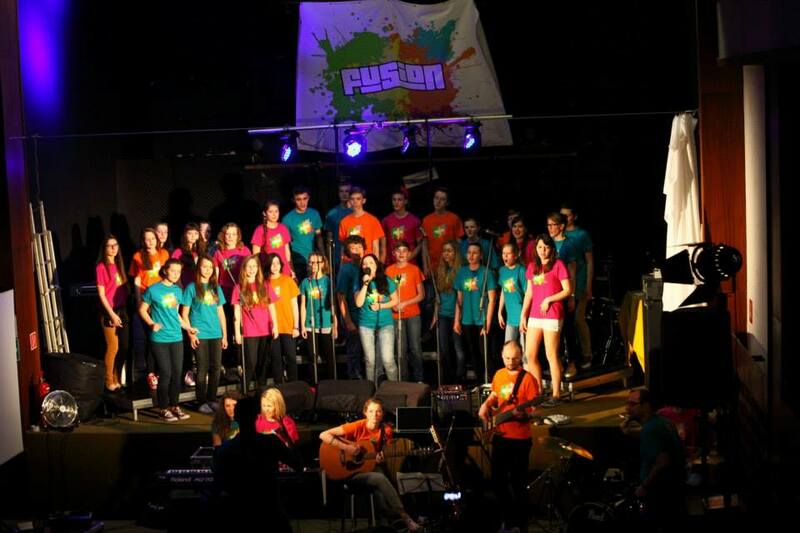 We helped them to approach new students, so they would know about possibility of joining Fusion in Senec and eventually come to the summer camp. 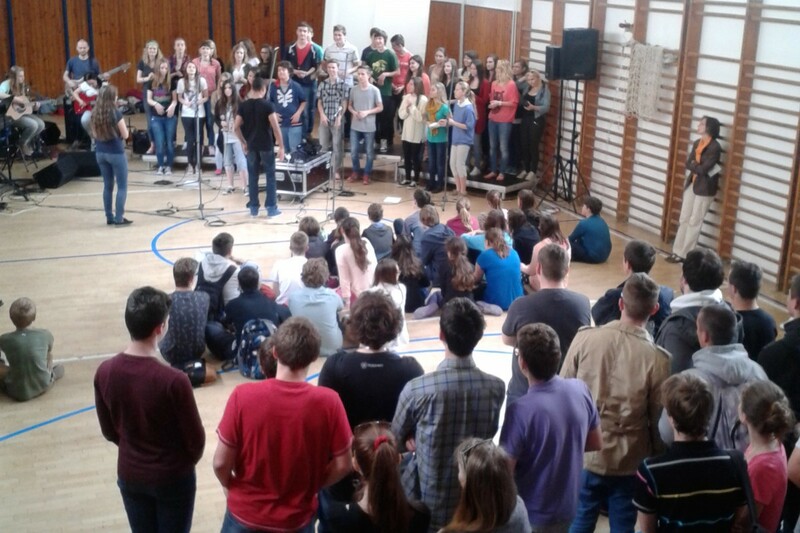 What a joy when few of them came to check out the afternoon Fusion rehearsal! Every concert day is loooong and busy. But it’s worth it! 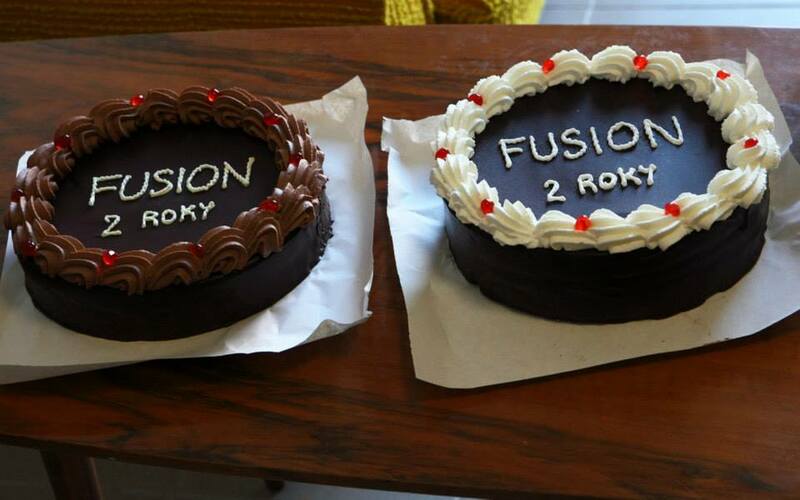 Our reward is the joy that comes from teamwork, growing/improving friendships or when a girl tells you that thanks to Fusion she knows why she believes in God. Our hearts are thankful!